Kathleen and Martin participated in the raptor focused session held by the National Audubon Society on Hog Island. They had both been to the island before, but the last time the weather was not in their favor. Given their return, it still left a lasting impression. They both had been pulled in via the osprey, but it was clear from our conversations that their interest had spring boarded into natural history, ecology, and ornithology. Martin and Kathleen came to “Audubon Camp” this year as part of their honeymoon. 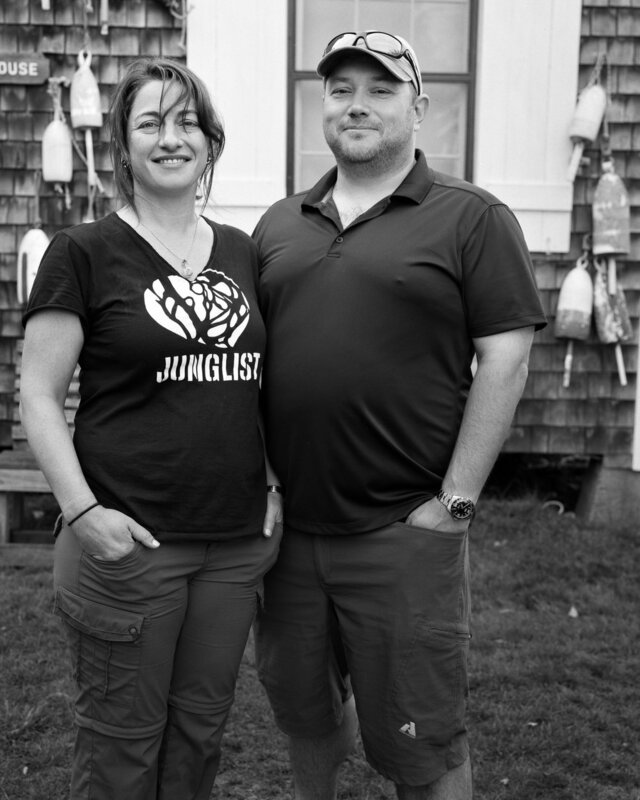 Yes, they marked this special life moment by being together in this uniquely Maine place focused on nature-based learning. One has to admire their interest and desire to be connected to the natural world. Congratulation, Martin and Kathleen! Thank you for your example and for making this photograph with me. Warm wishes you way.